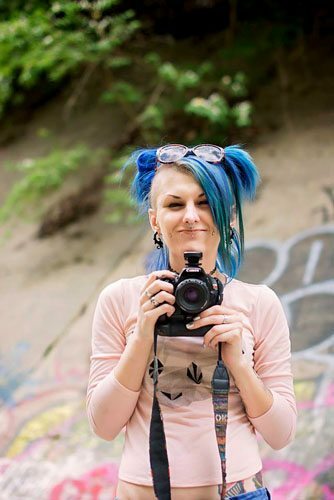 I’m a 27 year old, Full Time Female Photographer Located in Quakertown, PA. I enjoy being able to make any art and take pictures of anything I have the chance to, I specialize in DIY, one of a kind alternative, colorful and vibrant Photo Shoots. I run Events, Group shoots, Photographer and Model Workshops and A Pinup Magazine called Blue Collar Bettys. I am 100% available to help with anything I can or answer any questions you may have about Photography, Modeling or Your own Photo Shoot! Time is only time. When its gone, its gone. Lets capture that.